Congratulations! 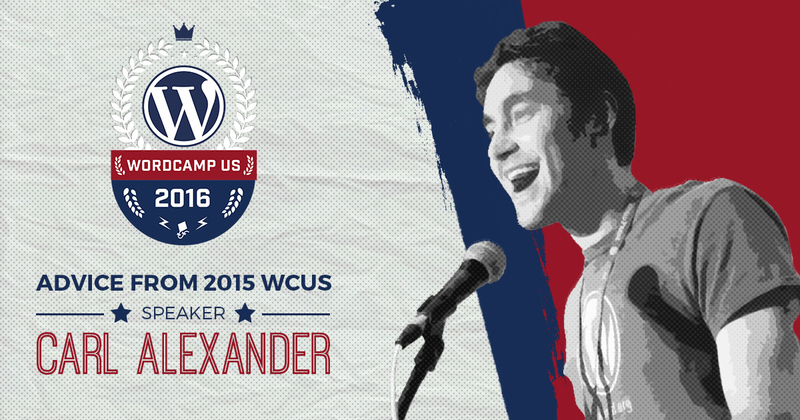 You’ve been chosen to present at WordCamp US — the national conference for all things WordPress. Now what? We thought it would be fun to interview a couple of last year’s speakers to get their advice to you — 2016 WCUS Speakers. First up is Carl Alexander. Carl is a WordPress freelancer, lover of object-oriented programming, long-form content, member of The WP Crowd, and famously memed as Carl Board. What motivated you to apply to WCUS versus other camps? Carl explained that he generally prefers to never duplicate a talk but, in this case, WordCamp Toronto and US picked the same talk. Carl has two main strategies for improving his speaking skills:: write a new talk every time and vary the crowd. Once selected, you got the email, how did you feel? How long did you have to prepare? How can you mentally prepare to speak in front of a large group? Carl recommends that you spend time reflecting on how you work and what motivates you. This is very personal and difficult to give generic advice. Public speaking always involves fear. You have to manage it, Carl says.